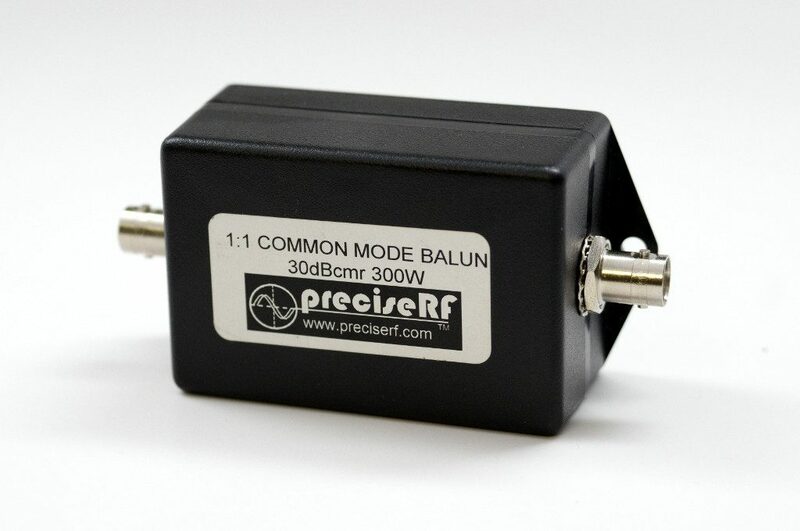 When used with the PreciseLOOP antenna the CMB-300 1:1 Common Mode Balun increases the efficiency and reduces the losses of your antenna on the HF bands such as 10, 20, 40, 60 and 80 meters. 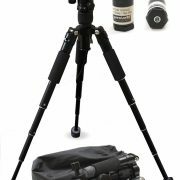 It operates from 1.8 to 30 MHz at power levels up to 300 watts. 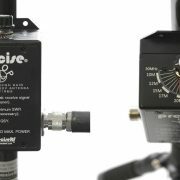 If you can’t achieve low (2:1) SWR (Standing Wave Ratio) when tuning the PreciseLOOP, or dipole antenna, you may be experiencing an impedance mismatch, common mode feed line current, or both. The CMB-300 1:1 Common Mode Balun effectively solves these problems. The CMB-300 1:1 Common Mode Balun was specially designed for Magnetic Loop Antennas (MLA) and portable dipole such as a the Buddy Pole (R). 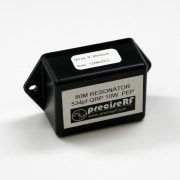 It features a common mode rejection ratio (CMR) of 30dB, providing excellent rejection of common mode current. 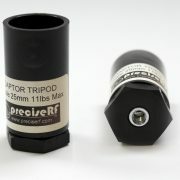 It uses 50ohm Bifilar wound coax construction using a low loss toroid giving very low losses – better than .1dB. The connectors are BNC for easy connection to most portable antennas. Maximum power is 300W.